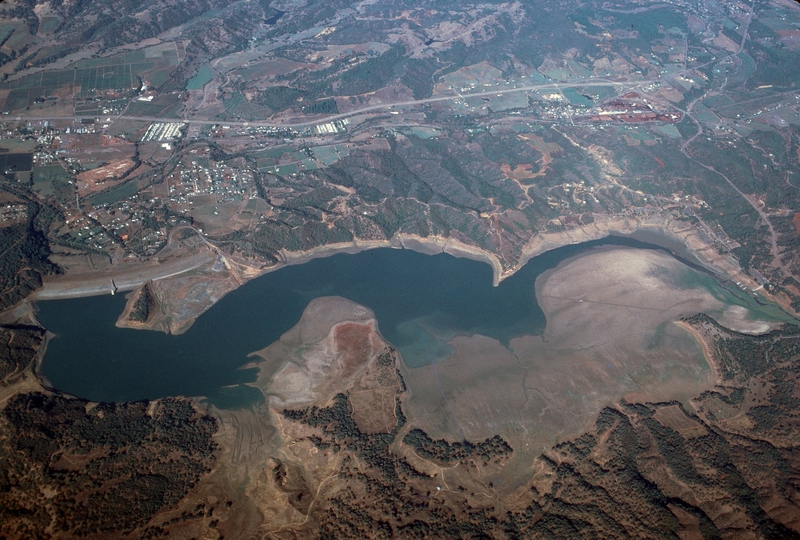 Lake Mendocino in 1977. Photo by Jack Kelly Clark. Which California communities are more likely to vote down hydraulic fracturing? Are efforts to make safe, affordable drinking water more accessible working? These are among the questions University of California scientists are trying to answer with six new research projects funded by the UC Agriculture and Natural Resources' California Institute for Water Resources. High-volume hydraulic fracturing, or fracking, a form of natural gas and oil extraction, is water-intensive and could exacerbate water stress. Gwen Arnold, professor in the Department of Environmental Science and Policy at UC Davis, is examining efforts to locally restrict high-volume hydraulic fracturing. Parker expects that people on either side of the issue will be able to use the study's finding to better understand differing viewpoints. Decision-makers who may be contemplating policy action on fracking will also benefit from seeing the range of relevant policies passed by other jurisdictions and the conditions that appear to favor or discourage adoption of the policies. 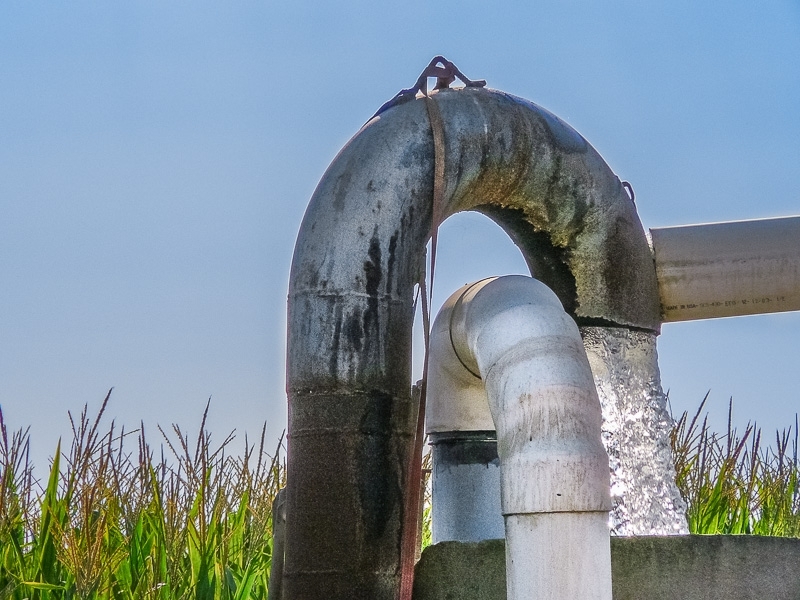 Another research project is assessing the Integrated Regional Water Management approach to address the lack of safe and affordable water in disadvantaged communities throughout the state. In 2011, the California Department of Water Resources funded seven pilot projects to develop models for improving water supplies for these communities. “We want to take a look at how well Integrated Regional Water Management worked, whether it is meeting the needs of providing safe, affordable drinking water,” Parker said. Jonathan London, professor in the Department of Human Ecology and director of the Center for Regional Change at UC Davis, and Carolina Balazs, UC presidential postdoctoral research fellow at UC Davis, are evaluating the impact of those efforts in Inyo-Mono counties, Santa Cruz, Los Angeles County, Kings Basin, North Coast, Imperial Valley and Coachella Valley. 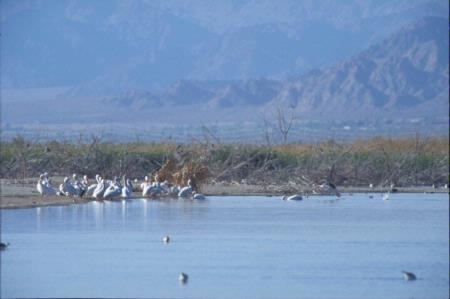 The Salton Sea, which provides habitat for pelicans and other migratory birds, is shrinking and exposing more soil. Roya Bahreini, professor in the Department of Environmental Sciences at UC Riverside, is looking at the relationship between water management and air quality in the Salton Sea region of southern California, where low water levels are leading to increased dust from the dry lakebed. Igor Lacan, UC ANR Cooperative Extension advisor in San Mateo-San Francisco counties, is investigating the performance of trees used in streetside stormwater management facilities, which are increasingly common in cities across California as communities look for ways to increase groundwater infiltration. Bruce Linquist, UC ANR Cooperative Extension specialist in the Department of Plant Sciences UC Davis, is quantifying methylmercury loads from rice fields to determine whether they may be of concern. Clarissa Nobile, professor in the School of Natural Sciences at UC Merced is using a high-tech metagenomic approach to research a potential problem for groundwater wells across the state: biofouling, which has the potential to be a costly challenge. Learn more about these and other California Institute for Water Resources research projects by visiting http://ciwr.ucanr.edu/CIWR_Making_a_difference. The California Institute for Water Resources integrates California's research, extension, and education programs to develop research-based solutions to the state's water resource challenges. An initiative to maintain and enhance healthy families and communities is part of the UC Agriculture and Natural Resources Strategic Vision 2025. 'Groundwater and surface water interactions under water shortage,' Thomas Harter's presentation, has been viewed nearly 1,400 times. Rain has begun falling, but California continues to operate under severe water scarcity from low precipitation over the past three years. The UC California Institute of Water Resources, with support from the California Department of Water Resources, has recorded presentations by scientists in the UC system and other organizations on a variety of topics related to water management and drought. 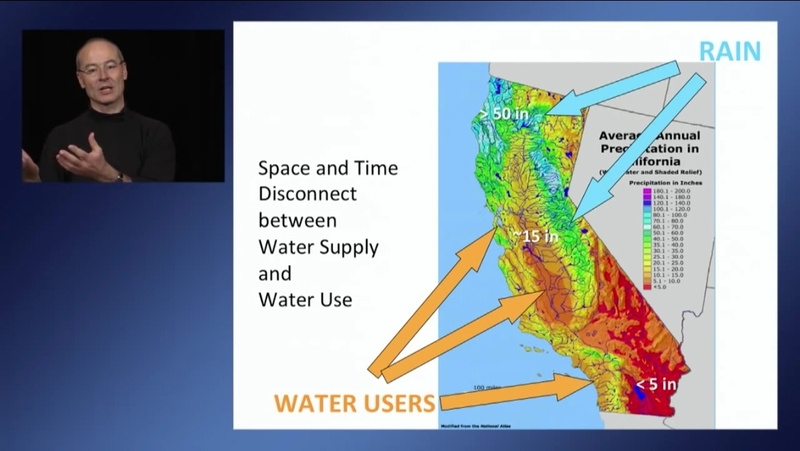 “Insights: Water and Drought Online Seminar Series” is accessible by computer or mobile device. The online seminars enable UC Cooperative Extension and the other scientists to share their knowledge with a larger audience than those who can attend meetings in person, said Daniele Zaccaria, UC Cooperative Extension specialist in agricultural water management in the Department of Land, Air and Water Resources at UC Davis. “Farmers, landscape professionals, land managers, irrigation consultants, resource managers from water districts and others can view the half-hour video presentations on YouTube whenever it is convenient for them, obtaining science-based information that stems from applied research conducted by several scientists over the last 10 to 15 years,” said Zaccaria, who coordinates the speaker series. 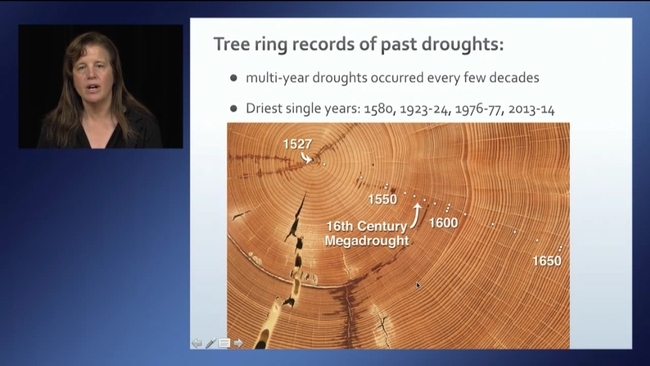 Lynn Ingram's presentation on 'Climate change and paleoclimatology: 2013/2014 in perspective' has been more than 800 times. Topics include drought impacts on natural resources, drought preparedness, water management in urban landscapes during a drought and crop management with limited water. Currently 39 videos addressing drought and water management in different settings are available, and more talks will be added in the coming months. The videos are also being used by Cooperative Extension in other states and have been viewed hundreds of times. “Groundwater and surface water interactions under water shortage,” by Thomas Harter, UC Cooperative Extension specialist in the Department of Land, Air and Water Resources at UC Davis, has been viewed nearly 1,400 times and “Climate change and paleoclimatology: 2013/2014 in perspective” by Lynn Ingram, professor in the Department of Earth and Planetary Science at UC Berkeley, has been more than 800 times. The drought videos are available at http://ucanr.edu/insights and https://www.youtube.com/UCANR. 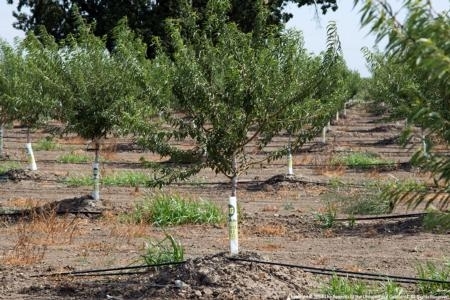 Using microirrigation to grow almonds, growers have improved water use efficiency. California's ongoing drought has made it even more critical for growers to get the most crop per drop of water used. Scientists from UC Division of Agriculture and Natural Resources and UC Davis and other land-grant universities were recently honored by USDA's National Institute of Food and Agriculture and the Association of Public and Land-Grant Universities for their years of research to help farmers better use microirrigation systems to sustainably irrigate their land. The 2014 Experiment Station Section Excellence in Multistate Research Award presented by the Experiment Station Committee on Organization and Policy on Nov. 2 recognizes the universities' exceptional collaboration on a multistate research project. Using more precise irrigation management, California growers have increased water use efficiency on processing tomatoes by 54 percent and on almonds by 33 percent since 1990. Conventional irrigation systems that apply high volumes of water over wide areas can lose a lot of water through runoff, wind, or evaporation. As a result, conventional irrigation systems often over water or under water plants. Instead, microirrigation, or drip, systems use special timers, sensors, and a network of narrow tubes to deliver the right amount of water at the right time. In the last five years, the group's research has led to new microirrigation equipment and tools that are easier to install, more durable, and more precise. These advances, along with engagement with farmers, have encouraged adoption of microirrigation systems, which has led to significant economic and environmental impacts. In addition to UC, other participating land-grant institutions include Auburn University, University of Arizona, Colorado State University, University of Florida, University of Hawaii, University of Idaho, Iowa State University, Kansas State University, Mississippi State University, University of Nebraska, New Mexico State University, Cornell University, Oregon State University, University of Puerto Rico, Texas A&M AgriLife Research, University of the Virgin Islands, Washington State University, and University of Wyoming. The universities collaborated with the USDA's Natural Resources Conservation Service and Agricultural Research Service. The award was presented by ESCOP chair Bob Shulstad and Ramaswamy at the Association of Public and Land-Grant Universities annual meeting in Orlando, Fla. The project's name will be added to a plaque at the USDA Waterfront Centre in Washington, D.C., and the group will receive $15,000 to support their ongoing work. The group's continued efforts are more critical than ever as the U.S. continues to experience extreme droughts that threaten water supplies and crops that depend on irrigation. These efforts are supported, in part, through USDA-NIFA by the Multistate Research Fund, established in 1998 by the Agricultural Research, Extension, and Education Reform Act (an amendment to the Hatch Act of 1888) to encourage and enhance multistate, multidisciplinary agricultural research on critical issues. Additional funds were provided by contracts and grants to participating scientists. For more information about the microirrigation project, visit http://www.cropinfo.net/MI. New UC research shows recycled water is suitable for Napa vineyards, but adds chloride to Salinas Valley soil. Last year was California's driest on record, and we are now in our third straight year of drought. Growers have fallowed fields they can't irrigate, ranchers have sold cattle they can't feed, and the state wants cities to cut water use by 20 percent. 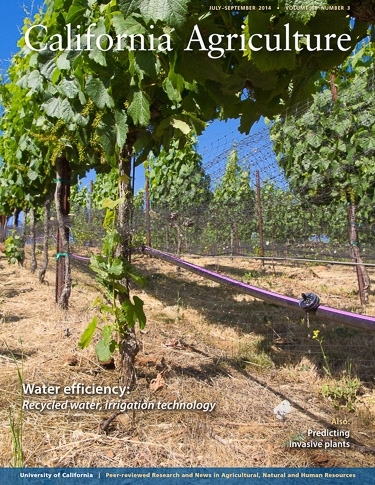 The July–September 2014 issue of California Agriculture presents a special collection of original University of California research on water efficiency. "This drought is unprecedented — we've never had such a lack of rainfall since we started keeping track," says Doug Parker, who directs UC ANR's California Institute for Water Resources and also leads UC ANR's Strategic Initiative on Water Quality, Quantity and Security. "Farmers are looking for ways they can stretch their water budget." One way is irrigating vineyards with recycled wastewater from municipal waste treatment plants. California recycles only 7 percent of the 9 million acre-feet of urban wastewater produced per year, and the state wants to nearly quadruple that by 2030. Besides providing a source of irrigation water during drought, recycling water is cost-effective and reduces wastewater discharge to rivers. To see if recycled water is suitable for use in Napa vineyards, UC Cooperative Extension researchers evaluated the quality of water treated by the Napa Sanitation District (NSD) as well as its impact on soil. They found that the quality of the recycled water was similar to that of other local sources of irrigation water. Additionally, in a vineyard that was irrigated with recycled water for 8 years, the soil did not accumulate salts or toxic ions, such as boron. "Our work suggests that treated wastewater from the NSD is suitable for irrigation of vineyards over the long term," the researchers say. One caveat is that the recycled water was relatively high in nitrogen. The higher soil nitrogen levels will be fine for many vineyards but, when needed, growers can easily reduce nitrogen by planting cover crops such as cereals and other grasses during the winter. Most growers in the northern Salinas Valley have irrigated their crops with recycled wastewater since 1998, raising concerns about salt accumulation in the soil. New research shows that since the year 2000, only a small amount of sodium has accumulated in the 12-inch deep rooting zone. In half of the fields studied, chloride has accumulated to levels that could affect yields of strawberry plants and leafy greens such as spinach. This chloride buildup may be due to the recent lack of winter rainfall, which normally washes salts out of the root zone, and could be mitigated by improving drainage and avoiding soil amendments that contain chloride. Accounting for nearly 20 percent of total agricultural water use statewide, alfalfa is California's thirstiest crop — large amounts of irrigation water can be wasted as runoff. New UC research shows that alfalfa growers can reduce this runoff to a comparative trickle by using a mathematical model that predicts the advance of irrigation water across a field in combination with wireless sensors that track the water's advance. This new approach also frees growers from checking the irrigation status of fields in person, saving time and labor. Most ornamental plants are happy to stay in gardens, but some jump the fence, invading wildlands and crowding out native plants. California has a wealth of native plants, about 3,400 species, but is also plagued by more than 1,500 species of invasive plants, many of which were introduced by the horticultural trade. New UC research identifies 186 ornamentals that have invaded Mediterranean areas in other parts of the world, and so are at high risk of becoming invasive here too. This work could help focus further risk assessments of imported ornamentals, as well as help land managers identify which species to watch for in wildlands. The entire July-September 2014 issue can be downloaded at http://californiaagriculture.ucanr.edu. During the drought, California is pumping from wells. UC scientists make recommendations to manage groundwater. Nearly two-thirds of the state's water supply is currently being pumped from wells that are tapping into California aquifers. In the special edition of California Agriculture released today (July 16), UC Cooperative Extension specialist and UC Davis professor Thomas Harter and UC Davis professor Helen Dahlke call attention to the stress being placed on California's aquifers as well as the catastrophic consequences of not having this hidden resource available in future droughts. Groundwater is most effectively managed at the local or regional basin level, with support from the state. Local groundwater management entities must be given better tools, such as clear mandates to assess, measure, monitor and allocate their groundwater and control its extraction. The definition of groundwater sustainability can be set at the state level and translated into specific actionable thresholds that must be enforced locally, with a credible threat of state enforcement should the local efforts be unsuccessful. Much better data collection, analysis, reporting and data integration are needed to provide transparency, to support local management efforts and to properly inform the public. This requires much stronger planning and support within the DWR and SWB. In their outlook article, Harter and Dahlke also explore one of the most promising ideas to protect our aquifers: groundwater banking. The idea is that during storms or flood control releases, excess surface water could be directed from streams via existing water conveyance systems onto dormant or fallow agricultural fields, which would then serve as infiltration basins. Solutions need to be developed to add significant recharge to California's aquifers, often during relatively short periods when excess surface water is available. A 3-year project, funded by UC Division of Agriculture and Natural Resources, aims to look at the feasibility of such groundwater recharge activities by setting up pilot groundwater recharge field experiments, which would provide valuable data to address concerns about the costs and risks to crops, the influence these projects may have on groundwater levels and flows, and the possibility of recharging contaminated water or degrading groundwater quality by leaching contaminants such as nitrate from the vadose zone. Data collected could serve as a foundation for developing economic incentives at the local, state or federal level to acknowledge the landowner's service to the local community and California's water supply reliability. To read their entire article, "Out of sight but not out of mind: California refocuses on groundwater,” and the special "Water efficiency" edition of California Agriculture, visit http://californiaagriculture.ucanr.edu and http://ucanr.edu/repositoryfiles/cav6803p54-136027.pdf.